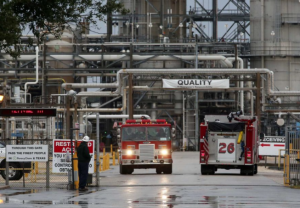 One worker was killed and two were injured when a chemical tank exploded at the PeroxyChem plant in Pasadena on Saturday January 16th. 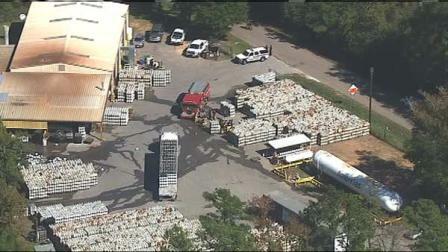 PeroxyChem officials say that the dead worker is a contractor and the two injured workers are employees. Although the specifics of the incident are still under investigation, routine maintenance was taking place when the blast occurred. One contract worker has been killed and three others seriously injured in an explosion on Fieldwood Energy’s Echo platform, 12 miles off the coast of Louisiana. The oil and gas platform was apparently not in production at the time and no pollution has been reported. Fieldwood Energy is a Houston-based company with an office in Lafayette, Louisiana. Two workers have been seriously injured in an explosion and fire at the American Materials ready mix plant in Missouri City, Texas. The explosion happened around 4:30 p.m. at the asphalt plant. The names of the injured workers have not been released. It took firefighters about an hour to bring the fire under control using foam. A fire broke out the morning of Friday September 13th at the Formosa Plastics plant near Victoria, Texas. Four of the injured workers were transported to a Houston area hospital’s burn unit and a fifth worker was taken to a hospital in Victoria. The company has not yet released the names of the injured men. Channel 2 reports that when the fire started the men were doing maintenance on a tower in the polyethylene-II unit which produces a plastic pellet. Formosa Plastics is currently under investigation for a May 2nd fire that sent 14 people to hospital. The Victoria Advocate said the employees were initially treated at an on-site medical facility but were transferred because of the nature of their injuries. 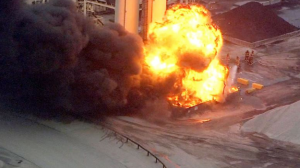 Local media outlets are reporting a fire at the ExxonMobil refinery in Beaumont, Texas has injured twelve workers. At around 10:30 a.m. today, Wednesday April 17th, a fire broke out in a process unit that was down for maintenance at the time. ExxonMobil states the fire was quickly controlled and is no longer burning. Injuries to twelve contract workers have been reported, six of those workers were transported to area hospital for medical attention. Three of the injured victims are reported as having suffered severe burns. An investigation into the cause of the fire is underway. The contract workers are employed by Signature Industrial Services. Local media coverage of the ExxonMobil refinery fire in Beaumont: ABC Channel 13 News, KHOU Houston, Channel 2 News Houston, FOX News Houston, Houston Chronicle. Two workers employed by Savage Services were injured in an incident at Exxon Mobil’s Baytown plant today. Exxon officials have not said how the two workers were injured, just that they were being treated at the hospital. Darryl Roberts told Channel 2 News that his son Kevin Roberts was one of the injured workers and that Kevin had been burned over 40% of his body. Roberts said the second worker injured in the incident was Arturo Munoz, and that Arturo was burned from the waist down. Channel 11. Channel 13. If you have been seriously injured in a workplace accident, the board-certified attorneys at Smith & Hassler will protect your rights. Contact Smith & Hassler any time, day or night, to arrange a no-charge professional consulation. An explosion at the AmeriGas Cylinder Exchange facility in Conroe, Texas injured several people today. 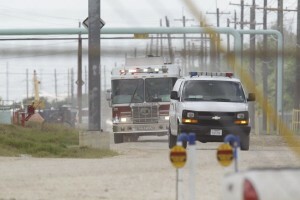 The blast happened around noon at the AmeriGas facility at 10985 FM 1485 in Montgomery County, Texas. Two victims of the explosion were flown to area burn centers via medical helicopter. Montgomery County Fire Marshal’s are investigating and the Texas Railroad Commission, which regulates the propane industry, was also notified. Channel 13 story here. Channel 2 is reporting a deadly explosion at the Oiltanking Partners plant in the 15600 block of Jacintoport Boulevard in Channelview. Channelview Emergency Services told reporters that fumes inside a pipe being worked on ignited during a welding procedure causing an explosion at approximately 8:00am this morning. Electrician Mac McClinton, an army veteran, said it sounded like a bomb had gone off. He also saw a man running from the scene soaked in blood. Officials with Oiltanking Partners have not released the name of the man who was killed, but they have said he was an independent contractor, not an employee of the company. A second person was injured and was transported to the hospital, but the Channel 2 story did not have specific on that person’s injuries. Channel 13’s report indicates the deceased worker and the injured worker were employed by L-Con Constructors, a Houston-based independent contracting company working on the premises. Oiltanking Partners, L.P. is a publicly traded company listed on the New York Stock Exchange under the symbol OILT. They are involved in the terminaling, storage and transportation of crude oil, refined petroleum products and liquefied petroleum gas. FOX News’ story on the plant explosion is here. The Houston Chronicle’s story is here. Channel 11’s story is here. Smith & Hassler has been helping injured workers and their families for work injury claims, plant explosions and workplace wrongful death claims for 23-years. Houston workers are entitled to do an honest days work in a safe workplace: if you or a loved one have been injured at work, contact Smith & Hassler any time, day or night, and ask to speak to an attorney to make sure you understand your legal rights. Channelview emergency responders rush to the scene of the explosion at Oiltanking Partners plant.